2016 commemorates 400 years since the death of William Shakespeare. The thespian and literary feasts planned for this anniversary in London, Stratford on Avon and New York, for starters, are out of this world. Directors and actors to die for, innovative interpretations of text, characterisation and design will all honour The Bard. The rather large English-speaking global community is following suit. This tiny speck of the planet answering to the name Grahamstown is no exception. The spirit of Shakespeare has been alive and well in this little frontier city almost since its inception. Given her British Colonial roots and the enormous impact of the Anglican Church in the establishment of education, this comes as no surprise. The mantle has been carried by schools, the excellent Drama and English Departments of Rhodes University respectively, enthusiastic local amateur dramatic societies, the annual Schools Shakespeare Festival and The Shakespeare Society of South Africa which originated here and is still going strong. Members are currently reading “A Midsummer Night’s Dream” and lapping it up! The National Arts Festival, hosted by Grahamstown, features at least one or several Shakespearian productions in its line up. On the National School Syllabus, English Language, (inclusive of Literature in English) is a compulsory subject. 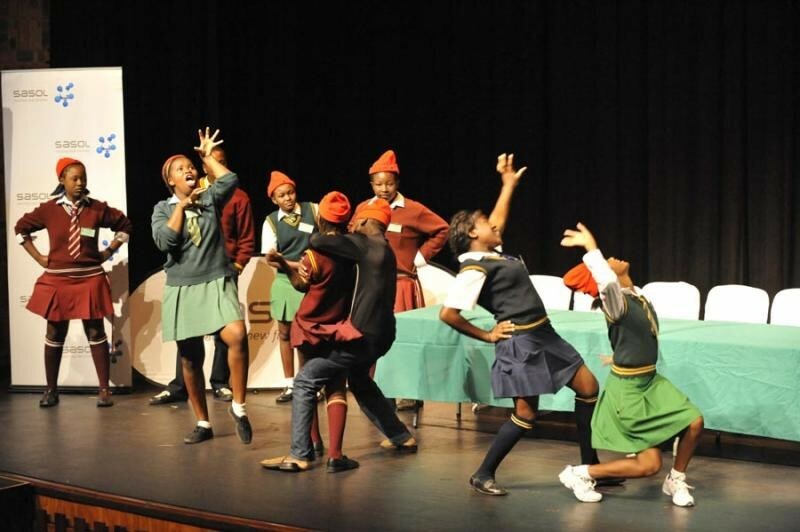 Hence all learners are exposed to a selection of Shakespearian comedies, tragedies and history plays. The longevity of Shakespeare’s Works can be explained by many factors. One of which is that the texts translate very well. In 1979, London audiences were riveted by a Russian production of MacBeth, despite the fact that most of them could not speak or understand a word of Russian. Back here in multi-lingual South Africa, African renditions of Shakespeare’s plays have been exciting, challenging and successful, notably in Afrikaans and Zulu. In time, probably, there will be further translations into our other seven official indigenous languages. Which in turn will lead to fresh performances with completely different takes. Seemingly, this brilliant playwright created plays that are somewhat irresistible to the human race! On this swelteringly hot February day, I have pondered on this matter briefly. Why Shakespeare in Grahamstown? Why Shakespeare in Calcutta? Why Shakespeare in my consciousness? Not least of all when the heat is so intense that I am working in my bikini and popping in and out of cold showers, feeling terribly sorry for anyone who has to work out doors. Why has Shakespeare stood the test of time to the extent that he was listed in the top five of the hundred most influential people in the last millennium? A dramatist? Why Shakespeare? Some answers came to mind. Here was a singular wordsmith, writing to survive, having to meeting deadlines, satisfy diverse, exacting audiences. A contemporary Elizabethan, utterly a man of his times, whose fidelity thereto renders his artistry timeless. His unforgettable characters – from King Lear to Malvolio, Cleopatra to Ophelia. Ultimately a supreme entertainer who still has us roaring with laughter or deeply moved to soundless tears. Thank you, Mr Shakespeare!